Denver is known for many great things. It is the bustling capital city of Colorado, rests nearby to the picturesque Rocky Mountains and contains many great museums. Taking a moment to peer through Denver’s pleasant façade reveals a number of dark locations with sinister pasts. These are the most haunted places in Denver. 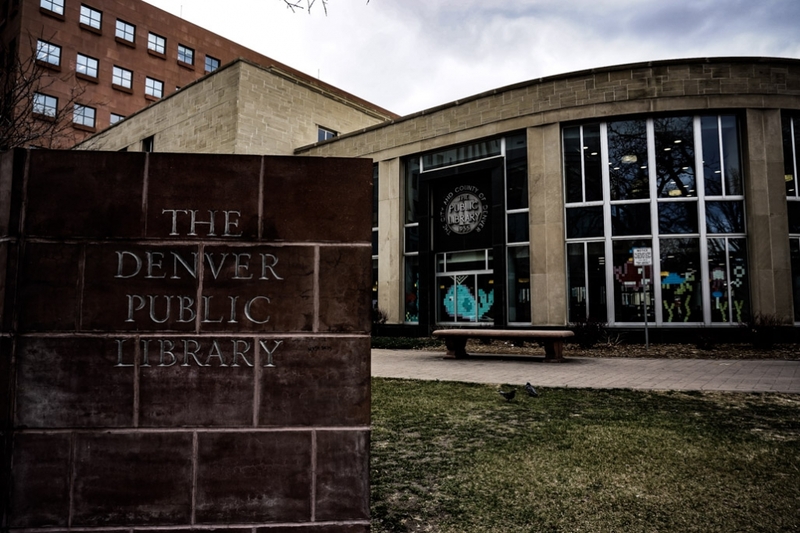 The Denver Public library has long been a place of education and escapism for book worms, usually seen trawling through the fiction section. What many do not know is the library hides a dark and violent entity just below the feet of those reading quietly above. The haunted Denver Public Library. Built in 1995 but containing books that have lived a much longer existence, the library holds a vast collection open to anyone in Colorado. The collection’s size is so great that not every book can be on display in the library areas accessible to the public. The Denver Public Library actually has a large basement in its lower levels, which help to store these many rare and out of print books. It is this lower level that many believe is haunted by an aggressive entity. 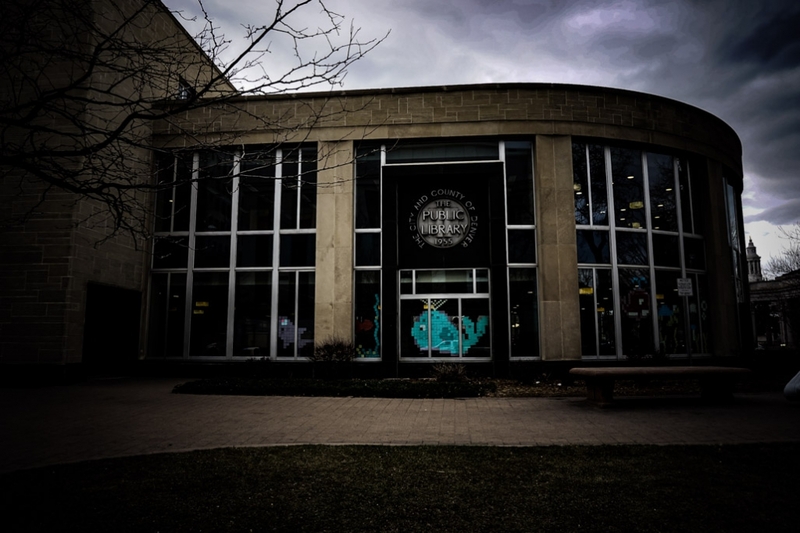 Some say that they are haunted by a former librarian who enjoyed his work and held these books so dear, that he returned to take residence in the library after death. Though many reports of being push and hit by staff and other visitors suggest that this ghost is not a pleasant one to interact with. Some of the attacks have been so frightening and violent, they have caused victims to immediately quit their jobs. There is a ghost in the basement of the haunted Denver Public Library. If you’re looking for the haunted Denver Public Library, you can find it at 10 W 15th Ave. Parkway. The Byers-Evans House is one of the most historically important sites in Denver, Colorado. At one point in time it housed two of the city’s most important and prominent families. Exterior of the haunted Byers-Evans House Museum. Today, the Byers-Evans House functions as a museum with the home being intricately restored to the time period of 1912 to 1924. It contains many original personal items and furniture pieces that date back to this time in the home’s existence. Some believe that this is the reason why some of its former residents have returned to linger, since their long past deaths. There are countless reports of paranormal phenomena occurring within the home. Many have heard voices coming from empty rooms and seen full body apparitions of ghostly figures dressed in early 1900s garb. Furniture moving and doors opening and closing on their own accord have also been documented by tour participants. 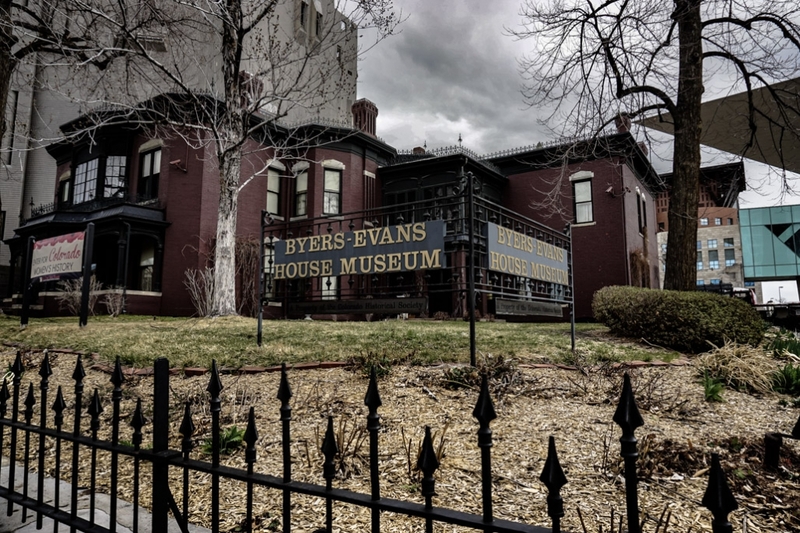 One of Denver’s most haunted places, the Byers-Evans House Museum. 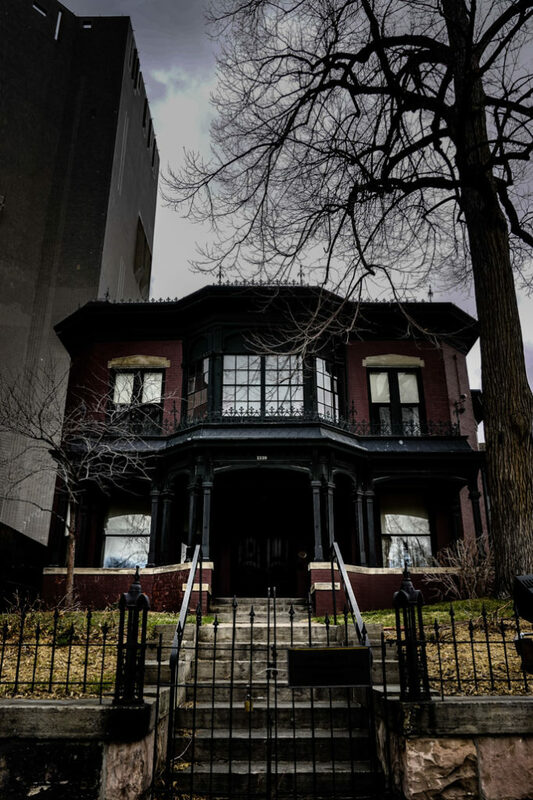 If you are looking for your own ghostly experience at Denver’s haunted Byers-Evans House, head to 1310 Bannock Street. Hotel Teatro is a beautiful boutique hotel in Denver, Colorado. The building has had a varied past. 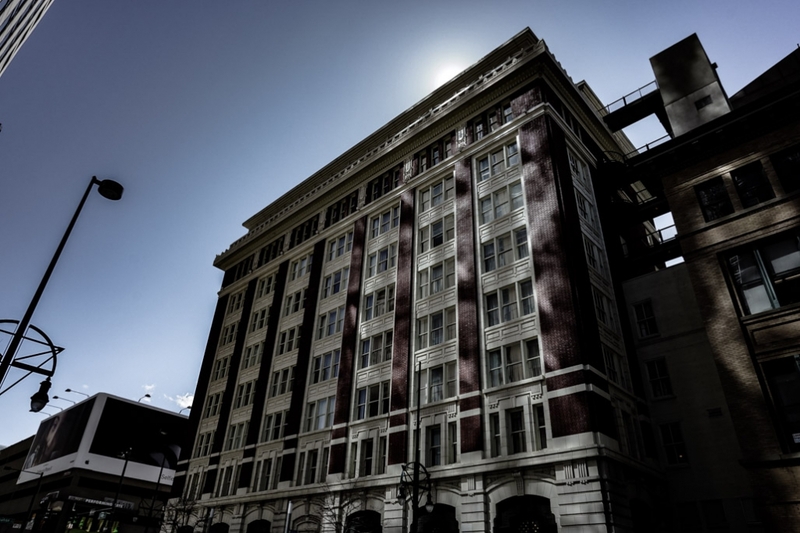 It was originally built in 1911 to function as the Denver Tramway building, it later hosted the University of Denver and the Denver Center for Performing Arts before being retrofit in 1997 to became a hotel. Looking up at the haunted Hotel Teatro in Denver, Colorado. It is the hotel’s past as a Tramway building which has given life to its reported haunting. Many have spotted a man walking through the hallways of the building holding a bag of tools. They have also heard his disembodied voice within empty parts of the hotel. He has been dubbed ‘The Tool Man’ and is believed to have died in a tragic accident in the lower levels of the building whilst working on old trams. If you are looking to come face to face with Denver’s Tool Man, book a stay at the haunted Hotel Teatro at 1100 14th Street. 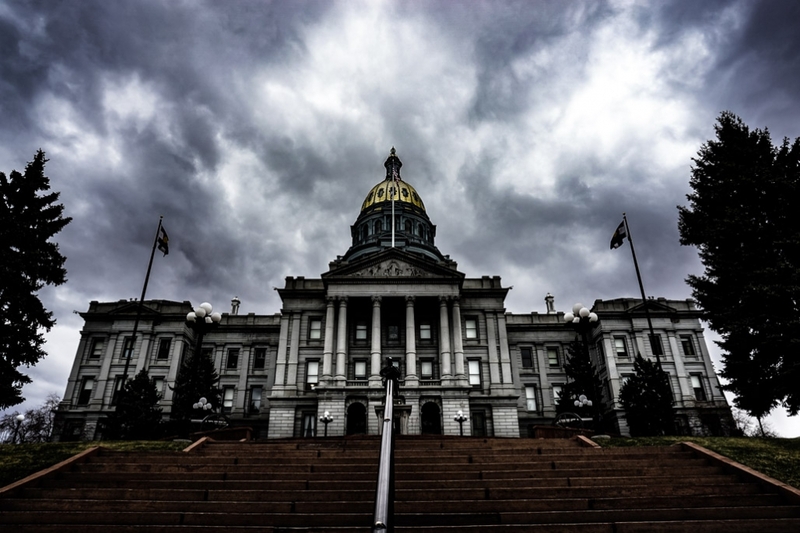 The Colorado State Capitol Building has stood and served within Denver since the 1890’s. The building has hosted many important historical events, yet also some of a grizzlier nature that have given birth to many ghost stories. 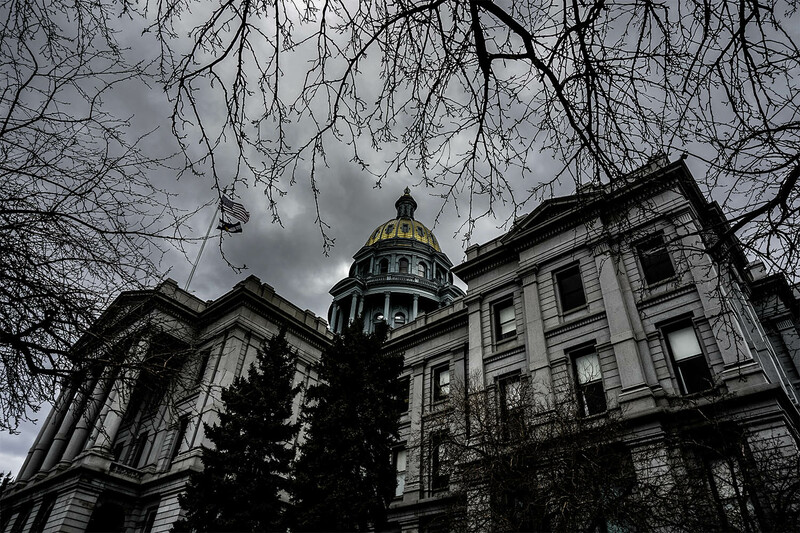 Colorado State Capitol Building, one of the most haunted places in Denver. 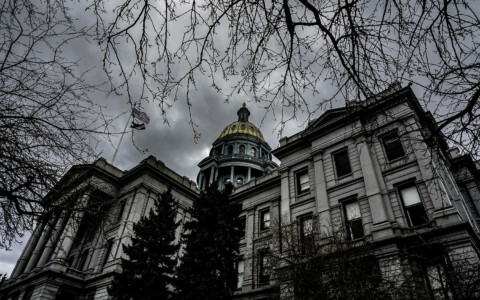 The Colorado State Capitol Building is purportedly haunted by several entities. One of the most commonly reported paranormal occurrences within the building is the sound of horse’s hooves trotting over the marble floors and up the main stair case. Many believe this sound to be the deceased Espinosa brothers looking for their heads. The brothers were put to death and decapitated in Southern Colorado after murdering several squatters who had taken up residence on their land. Their heads were then sent to the Capitol and stored there for several years. 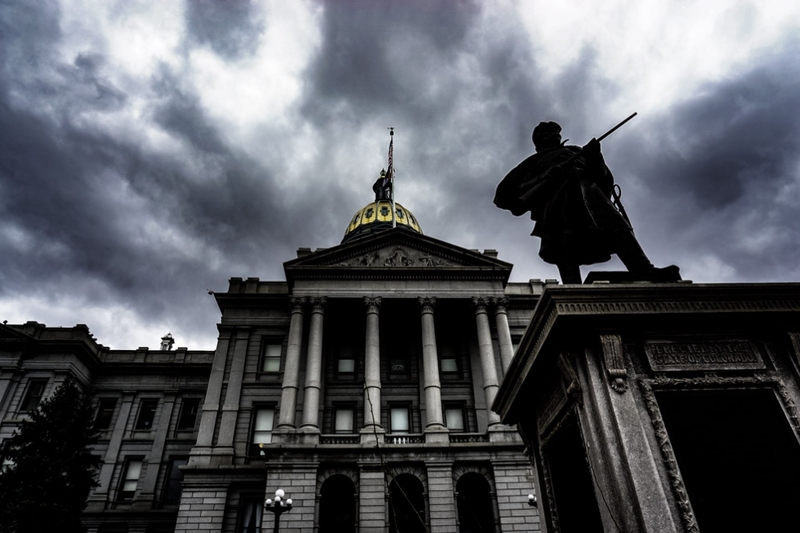 Others say heartbreak has left some lost souls at the Colorado State Capitol Building. One story tells of a politician who chose his wife over his mistress when his affair was discovered. His distraught mistress committed suicide nearby and is now thought responsible for the persistent issues the elevators within the Capitol Building are plagued by. Outside the haunted Colorado State Capitol Building, home to multiple spirits. Another story of love and betrayal details a senator’s wife who discovered her husband’s infidelity. It is told that she took her own life with a gun, but not before shooting and killing her cheating husband at his work desk. Since this event, countless reports from visitors seeing a lady wearing Victorian garb floating through the building before disappearing into thin air have flooded the Capitol. 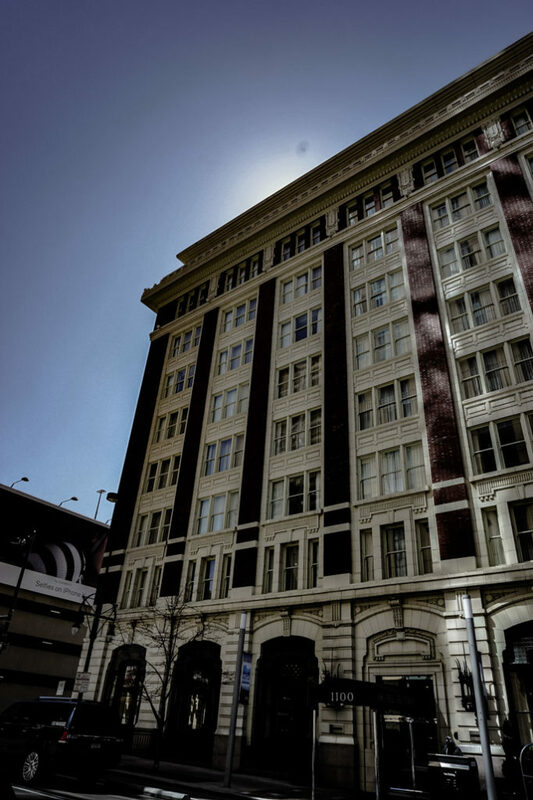 You’ll find the haunted Colorado State building in Denver at 200 E Colfax Ave. 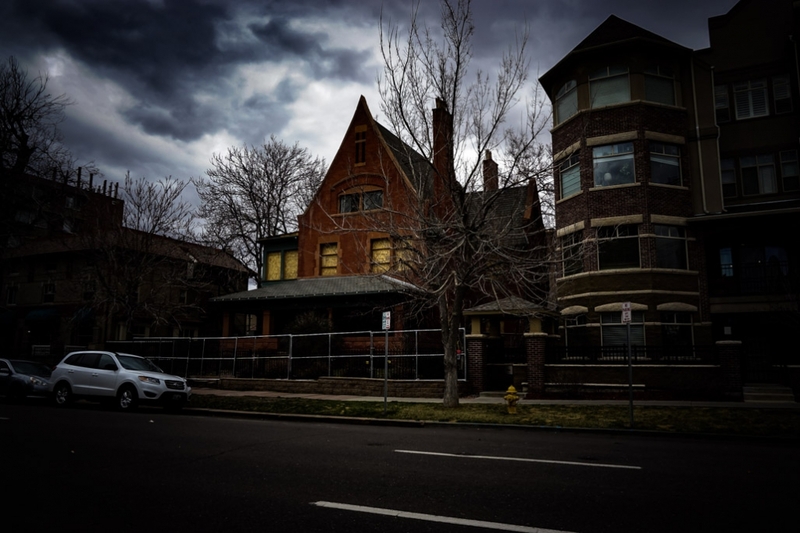 In 1889 a structure was built that would go on to become one of Denver’s most haunted houses. The Peabody-Whitehead Mansion is rumored to be home to numerous spirits and has been a favorite spot for many paranormal investigators, even appearing on the famed TV show Ghost Adventures. The first homeowner of the mansion was William Riddick Whitehead, a questionable surgeon during the Crimean War. Supposedly many of Whitehead’s patients died whilst under his care and may have returned to haunt his former dwelling. After Whitehead passed away in the house in 1902, Governor James Peabody moved in. Paranormal activity within the home lied dormant until it began to host bars and restaurants through the 1960s and 70s. New life within the mansion stirred up energy which manifested in poltergeist activity, causing food, kitchen equipment and furniture to be hurled across rooms. Electrical interferences and eerie baby cries from empty rooms were also reported. 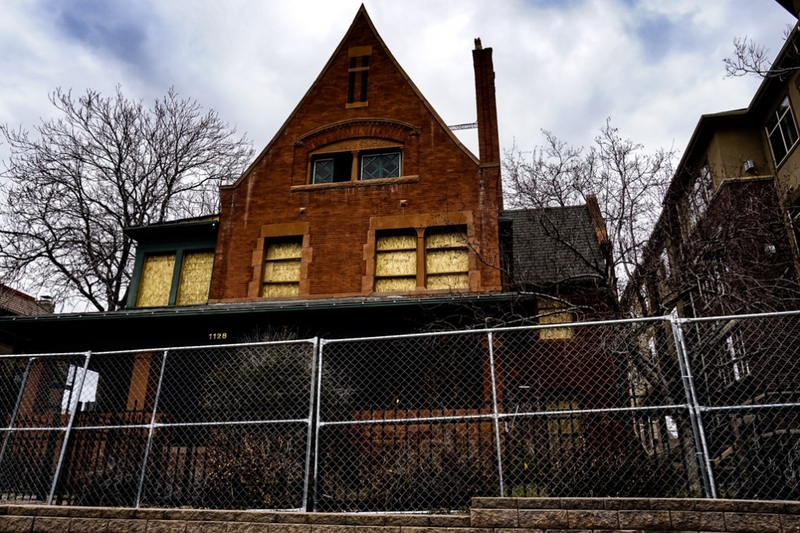 It was during this era that the Peabody-Whitehead Mansion claimed another ghost of a waitress who reportedly committed suicide within the building. 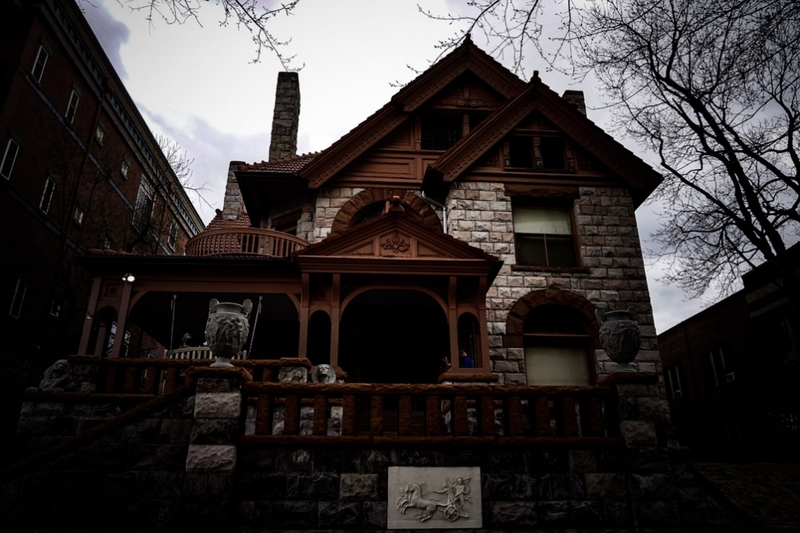 The Peabody-Whitehead Mansion is one of Denver’s most haunted houses. Other entities exist within the Peabody-Whitehead Mansion, including a depressed bride who hanged herself on her wedding day named Elloise and a gentleman who smokes in the female bathrooms. Want to check out this Denver haunted location? You’ll find the haunted Peabody-Whitehead Mansion at 1128 Grant Street. Molly Brown was an eccentric personality known for surviving the sinking of the Titanic, but remembered for her humanitarian work, which dominated most of her life. Today, her former home continues to stand proudly in Denver, restored to what it would have looked like during her era and operating as a museum. Though the museum functions to educate, it has also spooked a few unsuspecting visitors with its high instances of paranormal activity. The very haunted Molly Brown House Museum. It is rumored that Molly Brown and her husband’s (J.J. Brown) spirits still reside within their former home. Molly has been sighted by many while J.J. usually makes his presence known by the wafting scents of pipe tobacco filling empty rooms of the now smoke free museum. Cold spots and other women in Victorian era garb have been reported within the home. Furniture which rearranges on its own accord and several other entities including a woman who appears in the servant’s window and an angry looking man who appears in one stairway’s mirror have also been reported. Outside the former home of Molly Brown, now one of the most haunted places in Denver, Colorado. 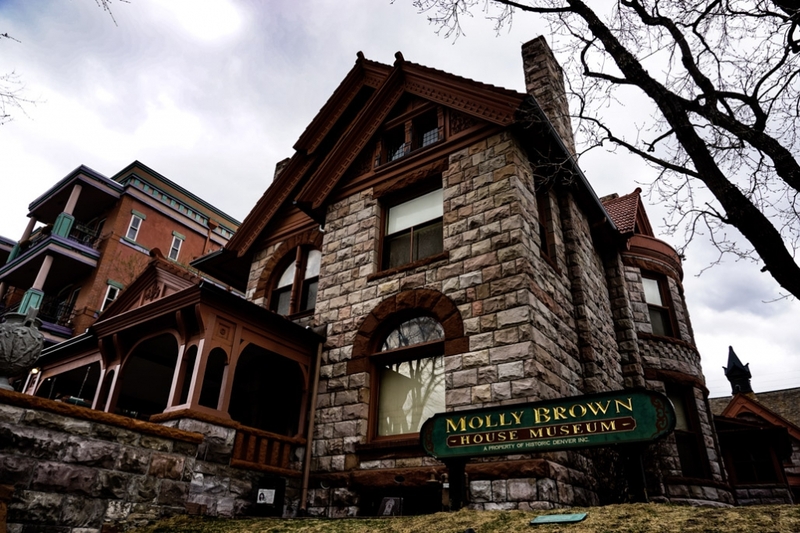 To pay a visit to the ghosts of Denver’s haunted Molly Brown House, head to 1340 Pennsylvania Street. Since 1892 the Brown Palace Hotel has served as Denver’s most glamorous lodging. Though dwarfed by recently built skyscrapers, the Brown Palace Hotel remains well known throughout Colorado and proudly boasts a fierce reputation as one of the most haunted places in Denver. Outside the Brown Palace Hotel in Denver, said to be very haunted. 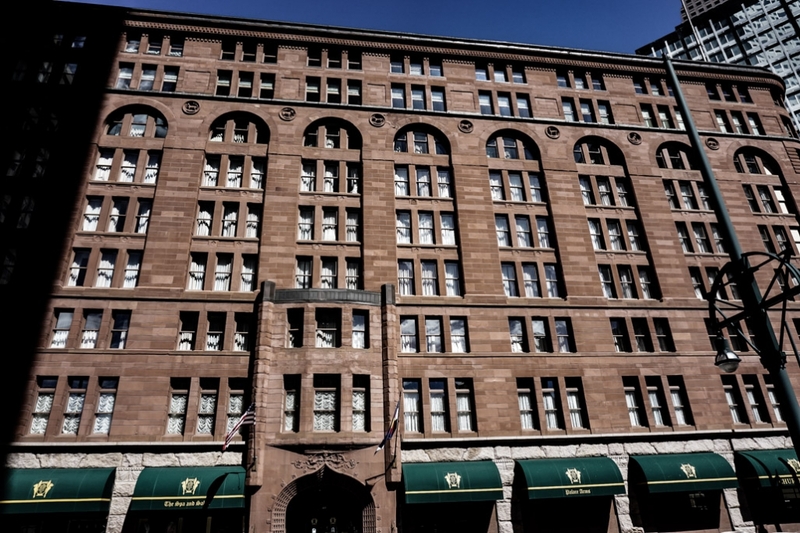 With a turbulent past including secret tunnels to brothels and prohibition raids, the Brown Palace Hotel has earned its ghost stories. Perhaps the best-known centers around room 904. It was here that a Denver socialite lived from 1940 to 1955. Many believe that since her death, her spirit has returned to her former room. It is from here that the front desk receives prank phone calls, despite the room remaining empty. The Brown Palace Hotel is also thought to host a ghostly quartet of musicians in the dining room, continuing to please guests with music emanating from the empty room. There are also spirits of children who are heard playing throughout the corridors and the cries of an upset baby that echo through the boiler room. Many have also reported sighting a man dressed in an old-time train conductor uniform hanging around the area where a train ticket booth once sat. The notoriously haunted Brown Palace Hotel. 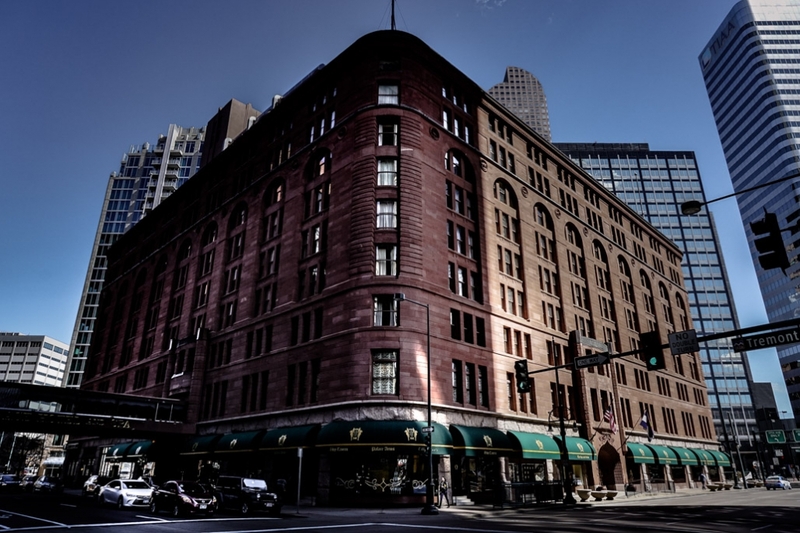 Feel like spending a night at Denver’s most haunted hotel? You can check into the haunted Brown Palace Hotel at 321 17th Street. 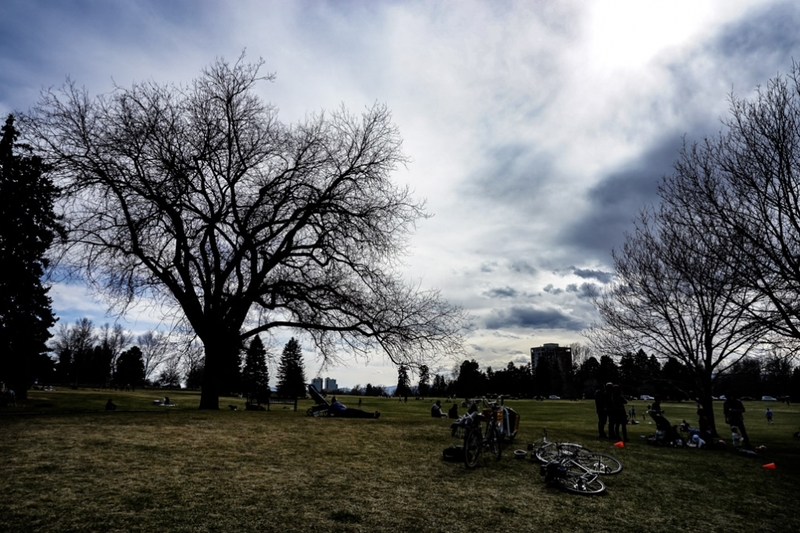 Cheesman Park is a green oasis in the middle of urban Denver, a place of picnics and leisure for many. What most do not suspect is that the park has some very dark secrets lying just beneath its surface. 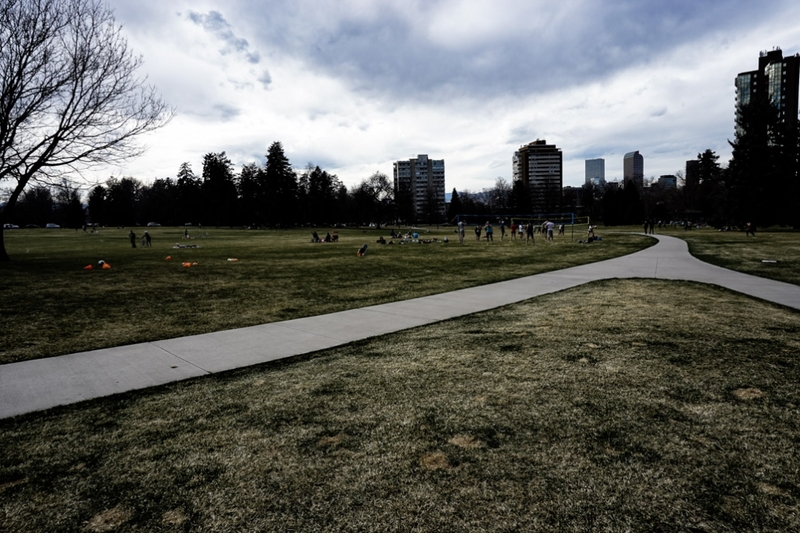 Cheesman Park is the most haunted place in Denver, Colorado. The land on which Cheesman Park was built upon was at one time a cemetery, which held mostly criminals and the poor. It opened in 1858 and operated until the late 1880s when the decision was made to repurpose the land. At this time, families were given a short window of time to claim the bodies of their loved ones, or they’d be removed less than ceremonially. Since the stature of those buried didn’t weight heavy on the living, more than 5,000 unclaimed corpses remained in the ground for removal. An undertaker named E.P. McGovern was hired to remove the corpses and received $1.90 per body he exhumed, placed in a new coffin and buried elsewhere. In order to increase his profits, McGovern supposedly hacked up many bodies and stuffed them into children sized coffins to create the illusion of removing a greater number of corpses. The park soon turned into a messy, nightmarish site full of decomposing and dismembered body parts. Haunted secrets hidden just below the ground of Denver’s Cheesman Park. A muddled and incomplete job of removing the bodies was left and Cheesman Park was built over the top. Bodies continue to be unearthed by construction efforts in the area to this day. Because of this disrespect shown to the dead, many believe that restless and unhappy souls wander the park lands. There have been countless claims of disembodied voices within Cheesman Park, especially those of unhappy souls demanding visitors to leave. Many have also claimed to sight ghostly apparitions walking through the park late at night. Want to visit the most haunted place in Denver? You’ll find Cheeseman Park at 8th Ave & N Williams Street. Denver is a great city to spend time exploring. It holds a lot of history, a cool art scene and quite a few spooky locations. This list would not be completing without giving the Stanley Hotel an honorable mention. 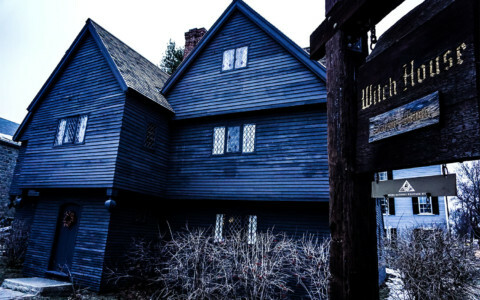 While technically outside of Denver, it is just a short drive to reach Estes Park and should be on the list to visit for any paranormal enthusiasts traveling to Denver. 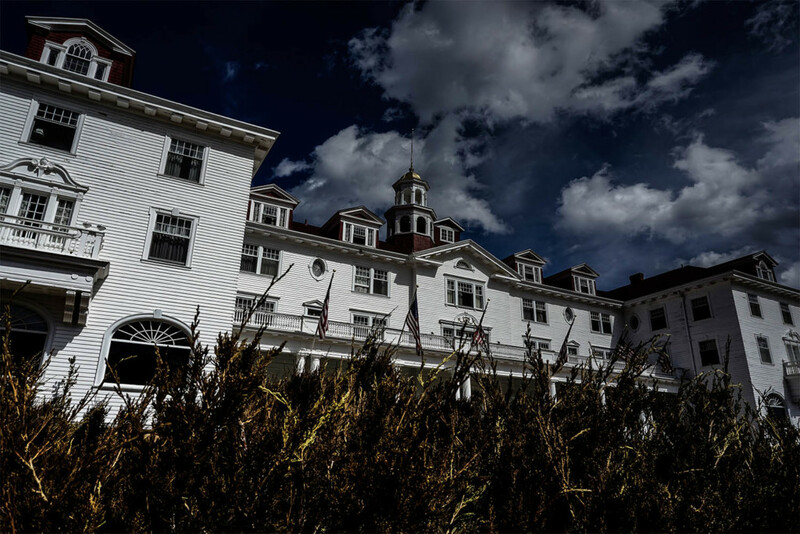 It is one of the most haunted hotels in America and the place which provided Stephen King the inspiration to write The Shining. The extremely haunted Stanley Hotel of Estes Park, just outside of Denver, Colorado.